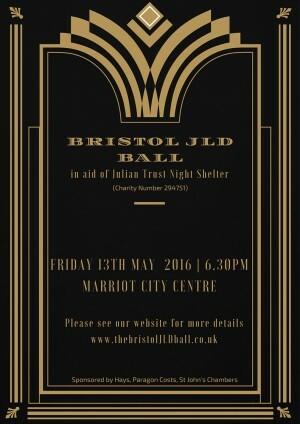 We hope you all had a wonderful evening at the Bristol JLD Ball. We would like to once again thank ALL our sponsors: Hays, Paragon Costs, St Johns Chambers, Bristol Law Society and Wesleyan. We would also like to thank the local firms and businesses who supported the evening by donating raffle prizes including Simmons & Simmons, Burges Salmon, Withy King, Bond Dickinson, Wards Solicitors, Aqua, Pho, Bristol Rugby, Riproar Comedy, Boston Tea Party, Vizion, Yoga by Natasha and BSAC.